Congratulations to the girls that competed at Inverell show. Estella Martin won both the open and junior barrel and placed in all her sporting events. 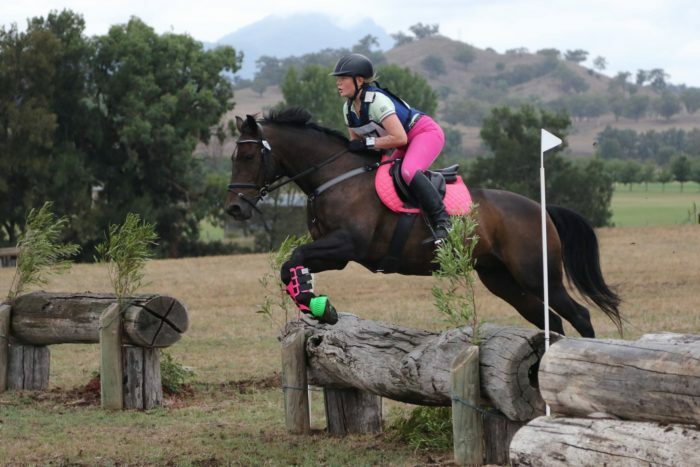 Bridgette Cadzow was 1st in the 12-14 yr old rider, 4th in the maiden hack and reserve champion girl rider. She also placed 2nd in the Junior camp draft and 1st in barrels for her age group. What a fantastic evening we had with the Equestrian Expo. 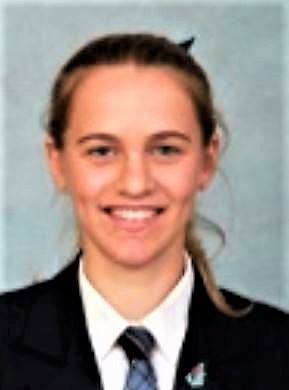 We would like to say a very big thank you to our wonderful Equestrian prefect, Josie Wilson for organising the event. With the help from her ambassadors, the event went brilliantly. Dressage duo, Isabella Arabejo and Rachelle Hirst did a wonderful display for all. There were no winners for this phase as it was just a demonstration. 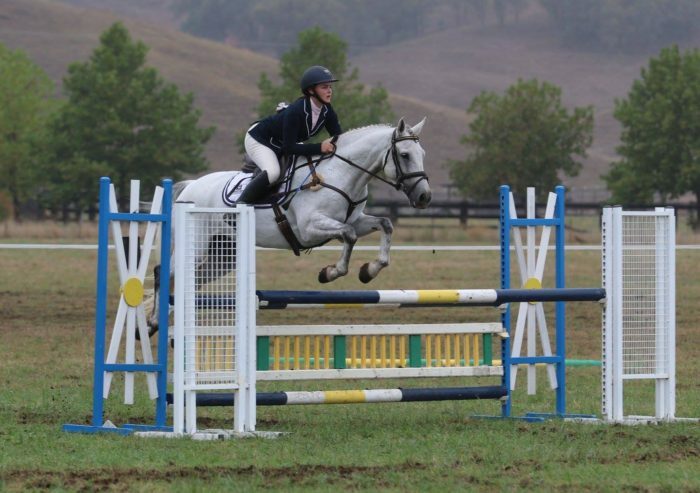 The competition really began with the show jumping between Jessica Towns and Imtiaz Anees. The heights started at 80cm and went up 2 holes at a time on the triple bar and Moxon’s bakery wall. Jessica did brilliantly on Sarah Hamparsum’s gelding Buzz, to keep most of the rails up. 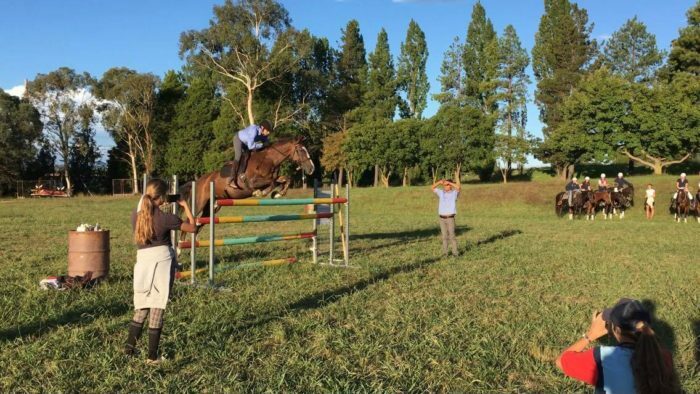 She had 2 rails, but cleared the last fence which was at 1.50m. 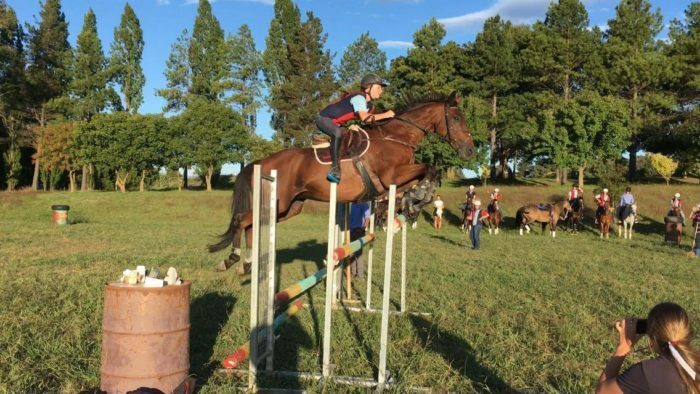 Imti has a cracking time on Meagan Nolan’s horse, Babe. He was clear until 1.40m and only had 1 rail. He cleared the 1.50m, taking the win. The working horse challenge was a close call. 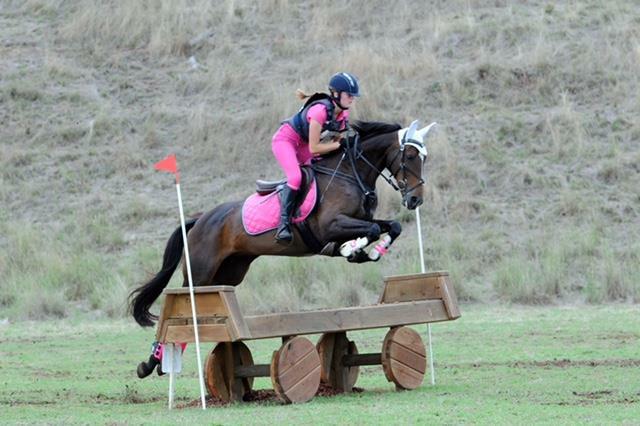 Amelia Edmonds competed on her horse, doing a brilliant job. Robert Newsome took the ride on Susan Byrnes’ horse, Dream. He had a fair crack at it, but Amelia managed bring it home for the girls. The barrel racing was over before we knew it! India Johnson was versing Ali Pettit. It was a race against each other, and lucky for Ali, she had the ride on Britnee Breneger’s mare, Meg. Both started out well but Ali took the win. Last but not least was the polocrosse Chukka. We had Josie Wilson, Gemma Stuart and Jessie Ross versing Tara Jane, Sam Halsted and Annie Vivers. The staff team had a challenging time on new horses and bucking broncs but still managed to entertain the girls and have a fair go. Josie and Jessie dominated the midfield while Gemma brought home the win with her speed and accuracy as a No 1. Thank you to everyone who came and supported the event. All the teachers, students, parents and staff that showed their support to the Equestrian Centre. All in all, it was a wonderful event that ended up being a draw, though we are looking forward to a re-match in term 4. Imti and Jessica in the final. We are excited to announce we have two winners of the Marcus Oldham Bursary. 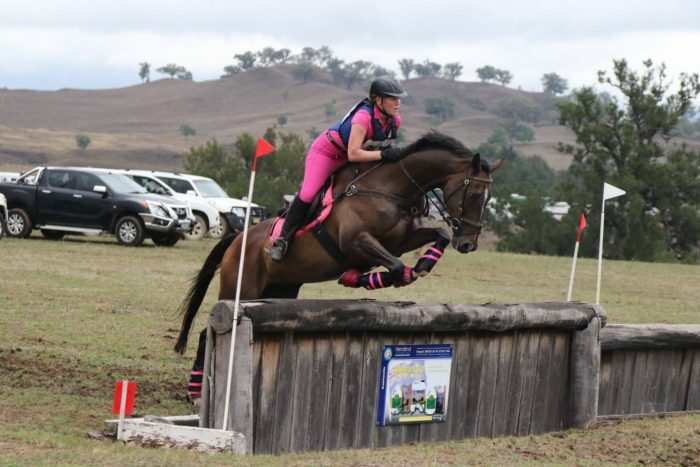 NEGS is thrilled to have Marcus on board supporting our young riders. Marcus Oldham College is Australia’s leading rural business management college with a reputation for providing quality education. The College has kindly offered two of our year 11 Equestrian Students academic bursaries. Marcus Oldham was very impressed with the standard of the applicants for these scholarships. Jaimie McElroy and India Johnson were the winners of this bursary. They are very proactive riders and their dedication to their disciplines proves this is a well-deserved achievement. We would like to extend a huge congratulations to all the students that applied for the Marcus Oldham Bursary. We very are excited to have made this beneficial connection with Marcus. NEGS Equestrian is delighted to have been fortunate enough to secure a relationship with Australia’s National Cutting Horse Association. We would like to thank NCHA for generously providing a scholarship to assist one of our NEGS Equestrian Students. This bursary goes to show how NCHA is dedicated to providing support, encouragement and opportunities for young cutting enthusiasts. 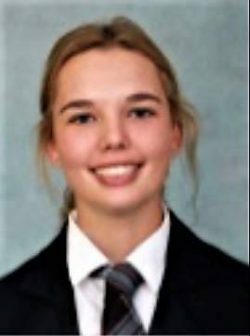 The winner of this bursary is Cilla McCamley, a student who is exceedingly dedicated to her horse and her riding. Along with the bursary, Cilla has also won a membership with the NCHA! Well done to the students who unfortunately missed out, the decision was very difficult which reflects the high standards of riders we currently have here representing NEGS. We look forward to continuing a relationship with NCHA as we expand our Cutting Academy at NEGS. 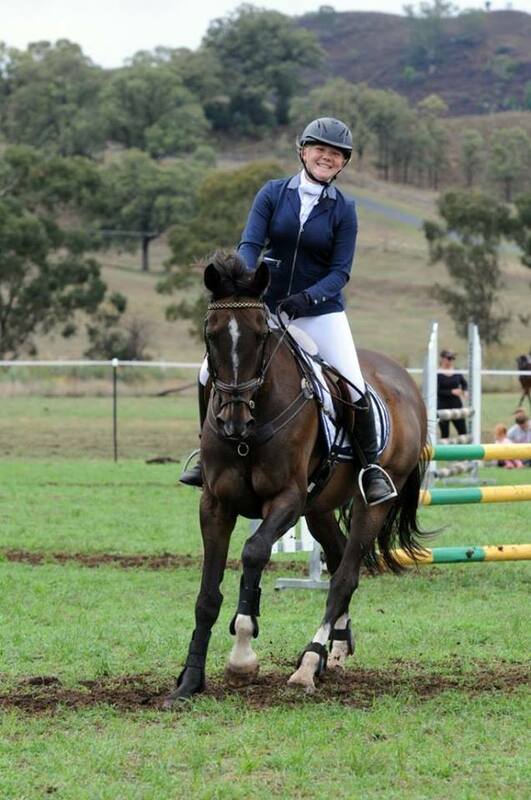 Australian Stock Horse bursary winner, Laura Finlay had a wonderful day at Armidale show on her stock horse, Waymere Oaks Shilo. Laura finished the day with four 1sts, three 2nds and a third, riding in the stock horse and hunter ring. Great work Laura and Shilo! Keep up the fantastic work Britnee.